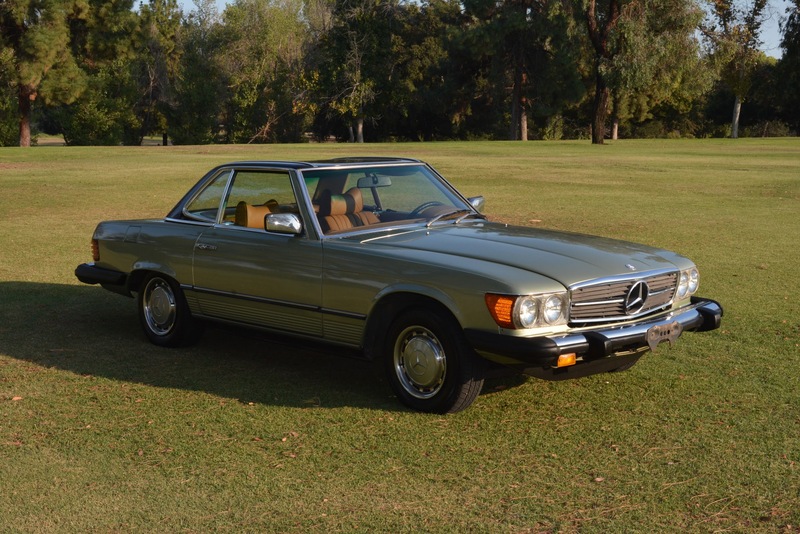 1976 Mercedes Benz 450SL w/ 285k in Rare Silver Green (861H). Drives really well. The suspension, brakes are tight. Just replaced all running belts. The steering box has either been rebuilt, or is new. Its perfect. The odometer works. Surprising amount of power. Rebuilt transmission, and torque convertor for a little over $2,500. Front and rear brake rotors, calipers, pads, master cylinder replaced around the same time. Receipt for around $1400.00. New Windshield. Fancy $600 stereo. Presents itself really well. The paint job is clean, and shines well. Good chrome trim, decent rubbers, and bumpers ends. The undercarriage is very clean apart from the spare wheel well, and passenger battery pocket. Fixed well. No signs of any major collisions. Nice, complementary interior color. Clean, tidy. Soft top is said to be a bit dry. Clean Title, Spare Wheel, Jack, misc. maintenance paperwork. 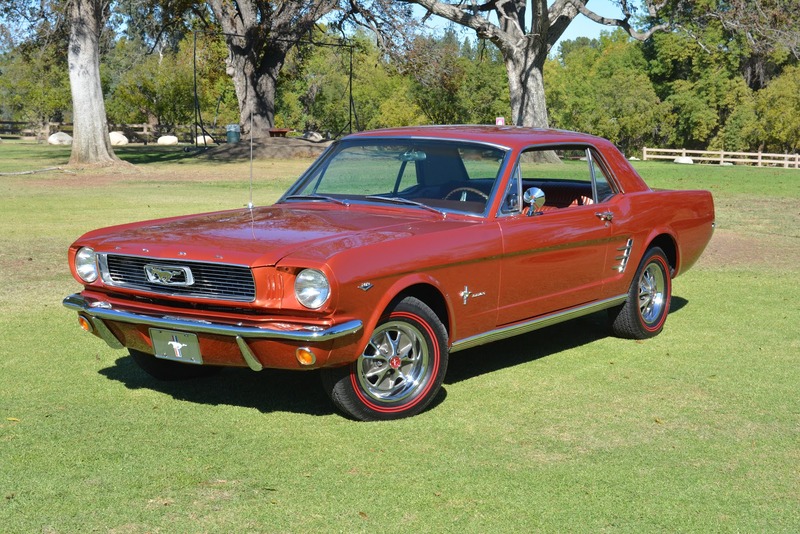 We’ve finally got around to taking the photographs, and writing a description worthy of the amazing 1966 Ford Mustang in Collectible condition we have on offer with only 44k. Mi. on the ODO. Recent restoration (which started in October 2008) from a very clean, unwelded unibody (car was non-op 1988-2008) that was built in Metuchen, New Jersey with a final destination of San Jose, California. Rubber seals replaced around the windshield / rear window, doors, door handles. The car still retains all of the original Carlite glass including the windshield. 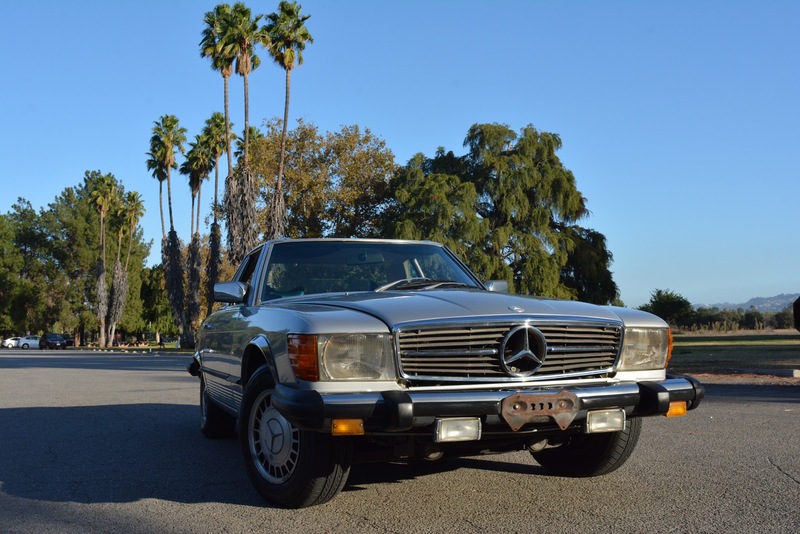 It comes with a set of the original keys, original black and yellow California license plates. The rally wheels are fitted with trim rings and a new set of BF Goodridge red line tires which compliment the color scheme very nicely. Emberglow is a one year only production color which, according to Jim Smarts Production Guide there is only 5.6% of!!. The interior is immaculate. All the windows have been greased. The roll up / down very easily. New window felts were installed around both the front / rear windows. All the gauges work. Even the original Ford factory radio is in good working order. The car starts up very easily, has good oil pressure and doesn’t blow any smoke out of the exhaust. The engine has been completely rebuilt starting from the crank to the pistons, cylinders, etc… It has a nice cam on. Just the right amount of lump at idle and sounds very mean when you rev it. She tracks straight, brakes straight. The clutch is relatively fresh, 4-speed gear box shifts perfectly in all the gears. You can cruise down the freeway from 60-80 MPH without any issues. Included with the sale is a CD with photos which document the previous owners work on the car over the course of the last 10 years. It shows the original engine block cast numbers, miscellaneous work performed. I’ve uploaded all the photos inside the extra photos link. The manual is vin coded and matching to the car. There are registration slips dating all the way back to the mid 70’s to the current years. Lots and lots of maintenance records adding up to a little over $13,000. Hand written notes with lists of work that has to be done / was done to the car. It also comes with a clean California title, spare wheel with an old school poly tire from Sears with an old hub cap, trunk matching tool pouch with wrench. This is the perfect coupe to keep, and add to your collection or a great one to start from. It is so nice it is ready to win car shows right away.